Red Crochet dress – H&M Coachella range; Sunglasses – Ray Ban Aviator; Gladiator sandals – Miami souvenir; Dark grey cotton shirt – H&M; Sunglasses – Ray Ban Wayfarer; Camera top – London (Camden market) souvenir; Boyfriend jeans – Abercrombie & Fitch; Shoes – Converse; Cut-out floral one-piece – Miss Sixty; Beige bikini – Yamamay; Multi-colour sports bikini – Oakley; Silver-frame sunglasses – Moni & Coli Puerto Rico; Brown and white wooden bangles – H&M; Artisan flower backpack – Costa Rica souvenir; Crop top – Clover Canyon; Orange beaded wrist-band – Costa Rica souvenir; Denim shorts – Mango. A lot of people who travel to Costa Rica head straight from the main airport at San José to greener destinations, and had we been pressed for time we would probably have done the same, but it felt strange to be in the capital and not explore it at all. I’ll be honest: San José is not the most picturesque of cities, but it’s lively and it’s here that you get the distinct sense that Costa Rica is a country growing quickly. The National Theatre in downtown San José is stunning, and the cafe there does amazing coffee – but then that’s pretty much the case all over Costa Rica! 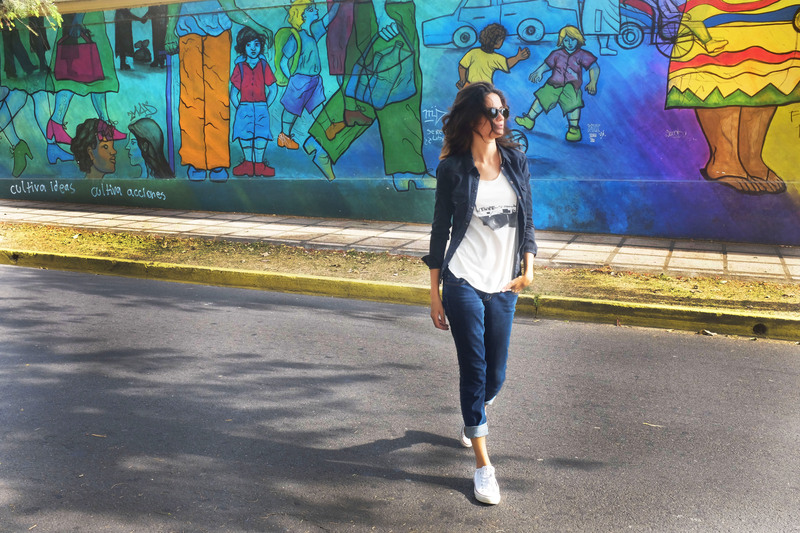 Restored colonial mansions are dotted around the city on quiet, dusty streets further north of downtown, particularly in Barrio Amon, which is also where you’ll find a lot of the galleries, trendy cafés, and colourful street art. Hipsters aren’t required to make good coffee here, but they are enthusiastically waving their organic, artisanal wands around to make barrios (districts) like Amon chilled and inviting neighbourhoods. 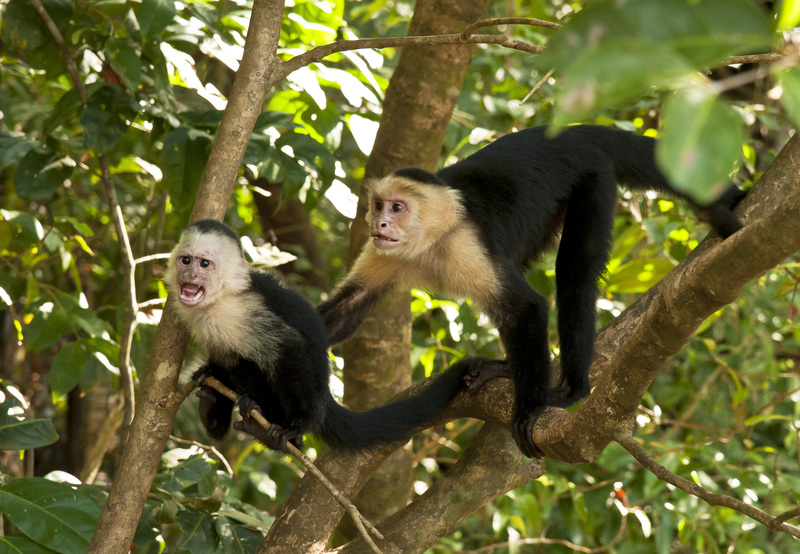 Our next stop was Manuel Antonio, which boasts Costa Rica’s most visited national park. Supposedly the drive time from San Jose to the park is less than two hours, but through a stroke of impossibly poor planning we visited over the Easter weekend, which meant that the trip probably took three times as long as normal in hot traffic. 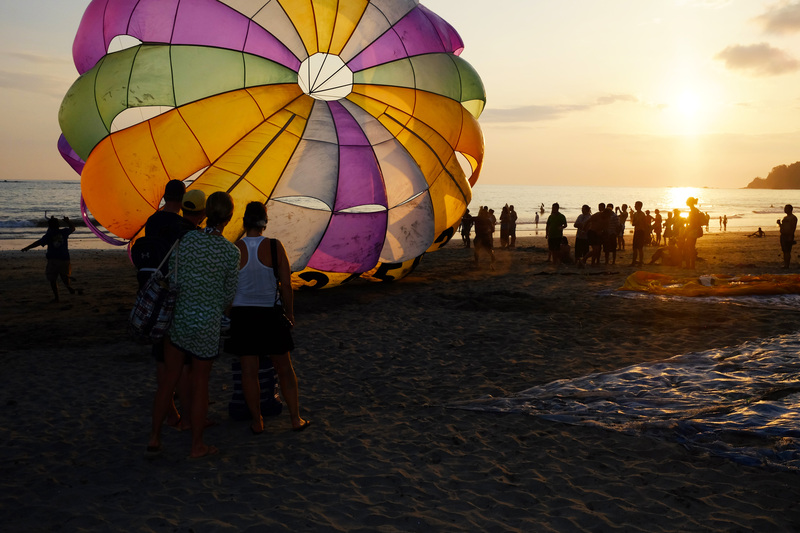 On the plus side this meant that the atmosphere in Manuel Antonio was terrific, filled with excited tourists and holidaying Costa Ricans. While the main beach and road is lively, the atmosphere within the park itself is the total opposite. We were warned that if we weren’t up at five (we dutifully were) we might not see many animals due to the crowds. We spent pretty much the entire day there and the saw about a handful of people and more animals than I’ve ever seen in their natural habitat. In other parks and rainforests I’ve travelled to, the main act is the plant-life and general scenery, with spotting wildlife being a rare bonus. While the scenery in Manuel Antonio is amazing, with its imposing views of ocean and mountain, what struck me the most about this park was the number of animals we saw; sloths, mongoose, toucans, parrots, a million other birds, three types of monkey, iguanas, and a bunch of other animals where I’m not even sure what it was I was looking at. In fact one of the most unique things about Costa Rica and the one that I will remember most fondly is the sound of the dawn chorus. Wherever we stayed, even in San José, we would wake up to a beautiful and deafening concert of excited birds and other strange and exotic animal sounds. I would close my eyes in bed and feel like I was in the middle of the rainforest. 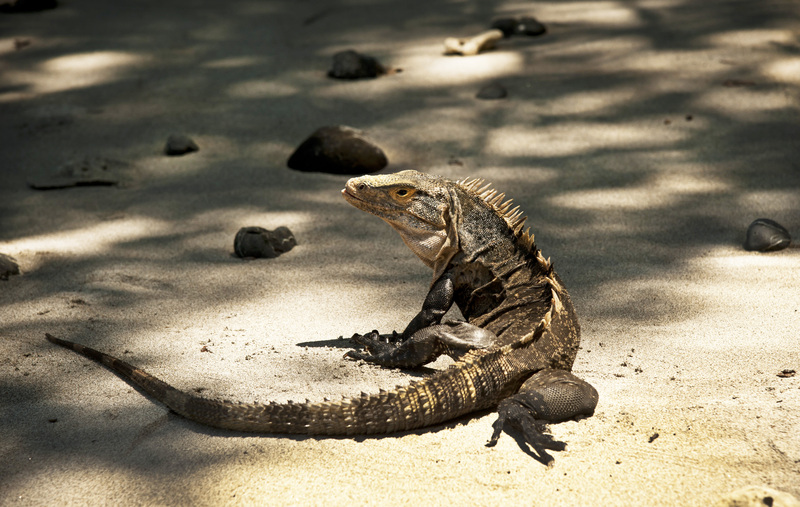 To say that Costa Rica is an animal lovers paradise is an understatement. We didn’t hire a car for this trip, deciding rather to take shuttles from place to place. I’m so glad we did as I’ve heard that hiring a car in Costa Rica can be quite expensive (it was generally more expensive than I’d imagined) and the company we ended up using – Interbus – had amazingly comfortable shuttles and lovely, courteous drivers that take you right to your hotel. There are shuttles for pretty much any route that you can dream up. 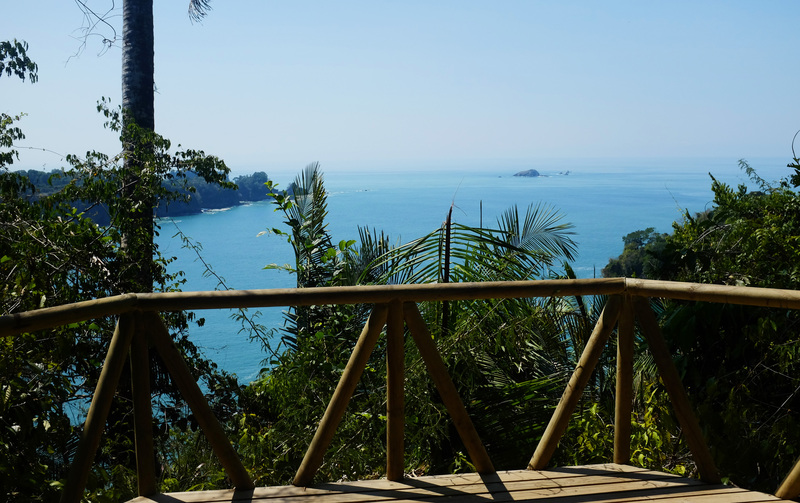 From Manuel Antonio we took a pretty trip through quaint towns with colourful houses and the most impeccable gardens, up to Arenal national park in Alajuela, home to one of the most active volcanoes in the world. It’s sometimes strange the kind of things that strike you when you travel – one of my favourite moments was on this trip, when we were nearing Arenal after a long journey, and we stopped at a hill-top rest stop where I had one of the best coffees I’ve ever had while enjoying a wonderfully cool breeze and beautiful view. The last part of the drive up to the volcano is pretty impressive too, as you watch it go from dot to huge, imposing mountain. The best view was probably from our hotel, which felt so close to the foot of the volcano it was actually quite eerie! Though unfortunately it hasn’t erupted since 2010, when you would regularly see lava run down its sides, we did see smoke from the eastern side. Maybe it’s because I know that it was so active so recently, but there’s a sense that the volcano – especially when dark clouds loom around it in the evening and give it a fierce, burgundy glow, and you can almost feel the land beneath you breathing – is not done erupting quite yet. I loved watching this spectacle at sunset from the hammock in the beautiful gardens outside our hotel room. 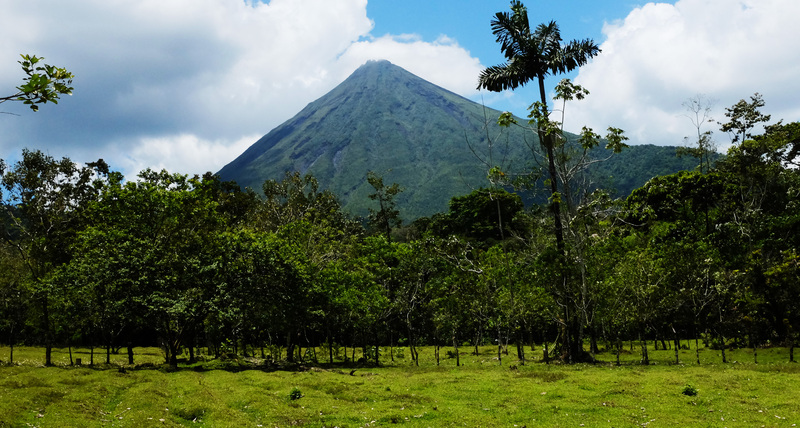 Arenal was probably my favourite part of the trip – the temperature is perfect and the nature so beautiful. We even had one of our best meals here – fresh Tilapia and prawn ceviche with avocado – under a volcano and miles away from the sea! 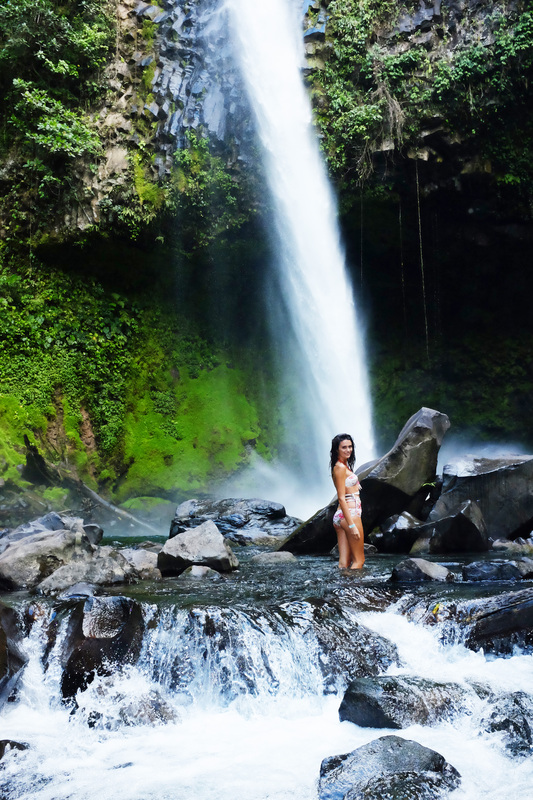 On our first day we visited La Fortuna waterfall, which you can swim in and is predictably beautiful. We saw a snake in the water when we were there, and even though the permanent guide there said it was harmless, I got out of the water pretty quickly after that! On our second day we visited the natural hot springs. There are lots of springs to choose from, but we chose Eco Termales as we heard that it offered the most authentic experience. Its location among the trees and various cobble stone pools (each one has a slightly different temperature) makes it feel like you are swimming in volcanic springs in a rainforest. We even saw sloths, soldier ants and howler monkeys, which make such an obscene sound that is impossible to describe (Youtube it!). After visiting two natural parks we wanted something a bit different, so we interbussed it to Tamarindo – a small, lively surfer town. It was another long car journey to get here – but the scenery on the way makes the time fly past. 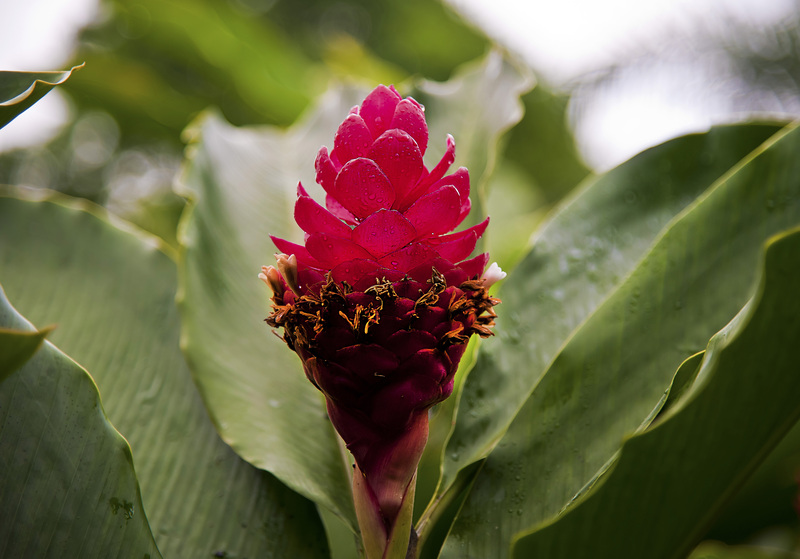 From the green, lush Alajuela we travelled past lake Arenal and on to the much hotter and arid climate of Guanacaste. One of the things that struck me most on this trip and about Costa Rica in general was that whether you were looking at a national park, or a ranch, or a garden or patio, everything looked so impeccably looked after that half the time I felt like I was in a botanical garden. It is also an incredibly environmentally friendly country. You can’t travel a few metres without there being an eco-friendly hotel, spa, etc. It’s so green that for the first 75 days of 2015, Costa Rica managed to run entirely off renewable energy! They’re huge on organic food and simple, healthy living too. 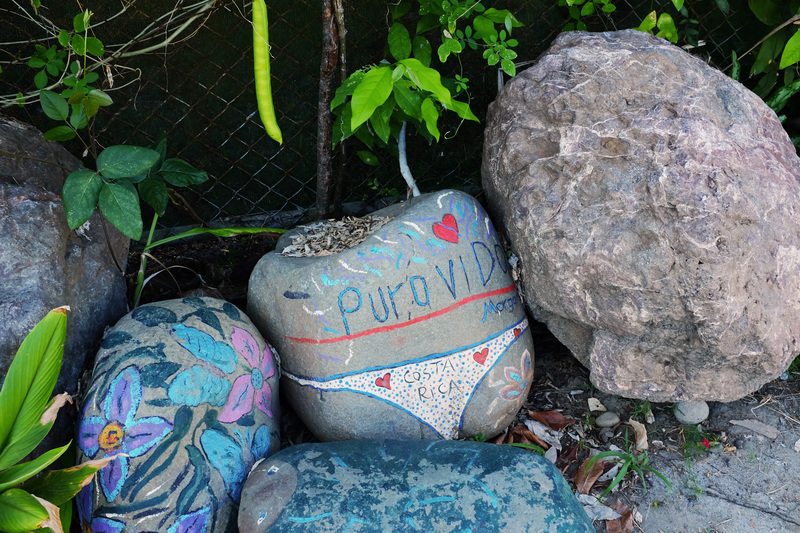 No wonder Costa Ricans’ favourite and ubiquitous catch-phrase is ‘Pura Vida’ – pure life! We especially felt this simple lifestyle vibe at Tamarindo. While really chilled, it’s not quite the hippy mecca that Montezuma is – being better for beer, burgers and surf than smoothies, kale and yoga (though the latter is available wherever you go in CR!). 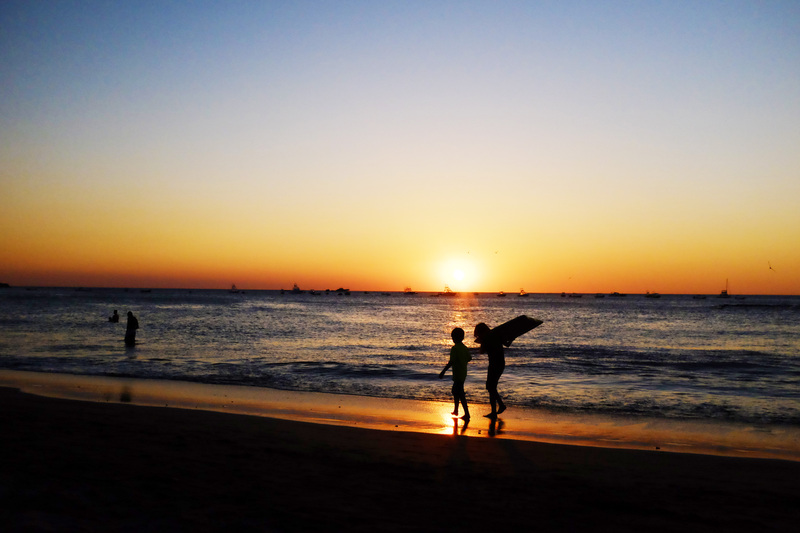 If you like surfing, or want to have a go, Tamarindo beach is perfect. Spending as much time in the sea as possible is recommended too because, at least when we went, Tamarindo was hot! Really, really hot. Even on the beach, in the shade! Good thing vendors pass every few minutes selling delicious coconut water. The temperature is much better in the evening, and we saw some of the best, slow sunsets here while sipping Imperial – the national beer – at one of the many cute, fairy-light adorned bars the beach. Pura Vida indeed! Tamarindo was the perfect place to end our trip. 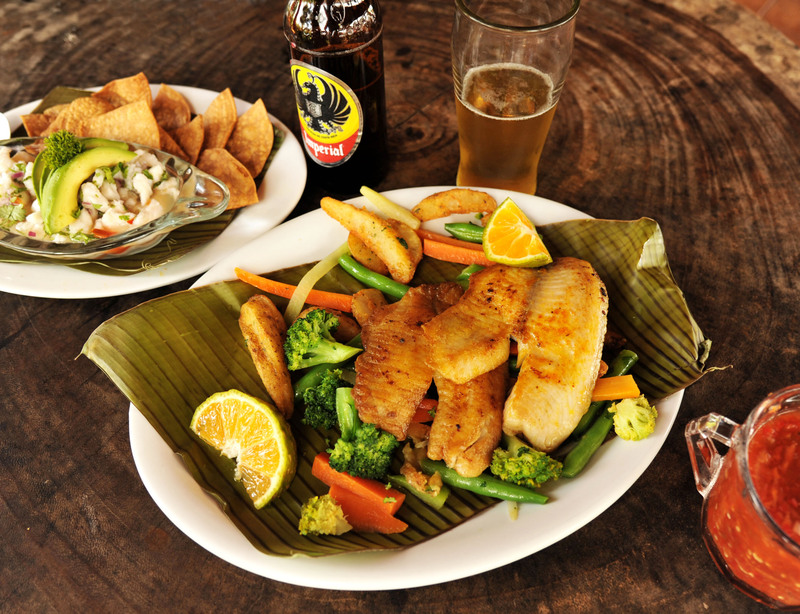 Eating: Our most memorable meal would have to be the tilapia and prawn ceviche with avocado at La Fortuna but unfortunately I didn’t catch the name of the restaurant! We found the food in Arenal to be quite good in general. For Tamarindo I really, really recommend El Chilito Mexican Grill. The ingredients are so fresh and the portions are huge and prices cheap. Also, the food is surprisingly refreshing in hot weather. Go here if you love Mexican! Love your lace romper. Very cute! Wow amazing pics! You look gorgeous. That coral lace dress is to die for! Great blog, what camera do you use for your photographs? it looks like such a nice place costa rica, reminds me of Cambodia in some beach photos a lot. Looking forward to see future post. Thanks Vasare! I use a Nikon D90 for my photos. I love your website by the way – so sleek and pretty! Wow, these pictures are amazing! And your red dress! So beautiful!!! wow! Costa Rica looks gorgeous. Lovely pics. Amazing place, looks like a paradise! 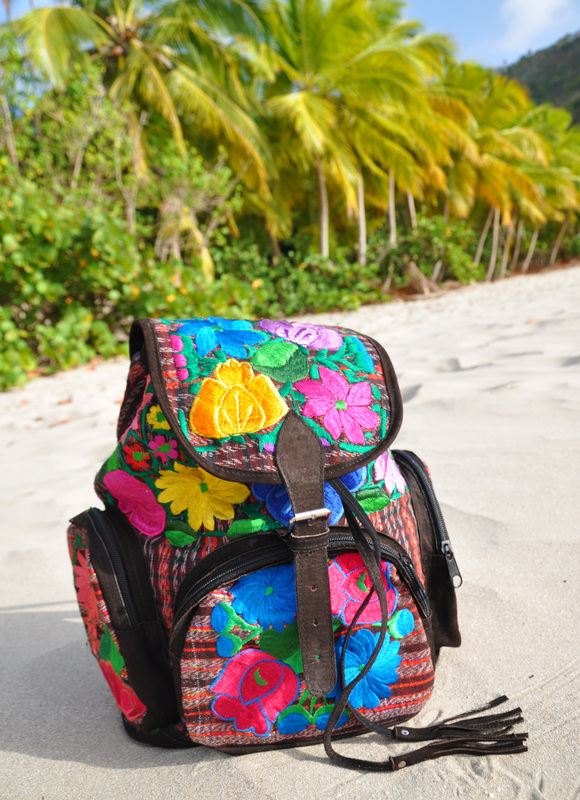 You are fab and I fell in love with your backpack! Amazing pics and dreamy place. The red dress fits on you like a glove. Your photographs are just amazing! Can’t stop scrolling your blog I just can’t get enough!